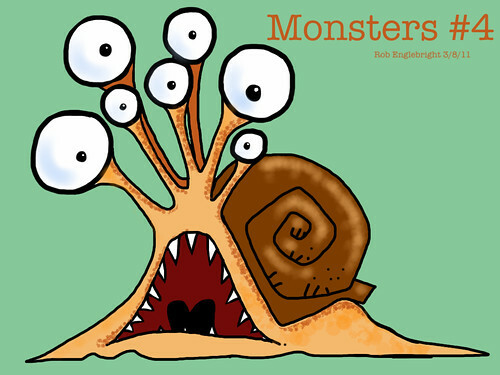 Monsters#4, a photo by killercarrot on Flickr. Snail creature. Sketchbook pro on my iPad 2, but today I used just my fingers rather than the hit and miss pogo stylus. Using layers and judicious erasing seems to be the key. Yesterday I mourned dodge and burn, today I was feeling the lack of pressure sensitivity.